BSS: Health experts urged the people, especially those leaving the city to celebrate the Eid-ul-Azha elsewhere, to keep clean their houses and destroy all potential stagnant water sources to prevent outbreak of dengue disease. “All holidaymakers should clean their houses and destroy potential water containers before leaving the city for celebrating Eid with their dear and near ones,” Director of Epidemiology, Disease Control and Research (IEDCR) Prof Dr Meerjady Sabrina Flora told the news agency. 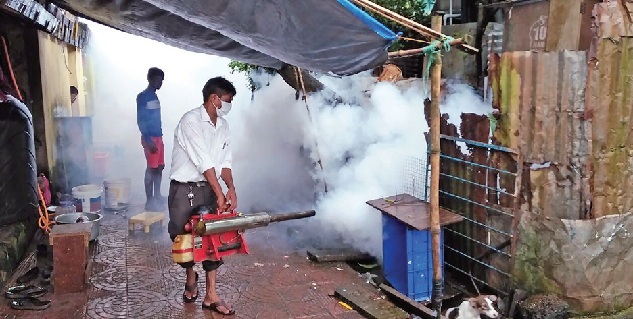 Alongside cleaning their houses, holidaymakers infected by dengue should take adequate protection against mosquito bite, she added. “We fear that a huge number of people are leaving Dhaka to celebrate Eid. If dengue patients do not take enough measures against mosquito biting, the disease may spread outside Dhaka,” Prof Flora added. “There is much fear of Aedes mosquito transmitted diseases this year. So far, we have received information about more than 900 dengue cases from different hospitals in the capital this year. But we have not received any information about chikungunya case yet,” she said. IEDCR, along with diseases control unit of DGHS, Bureau of Health Education and Health Ministry are observing the situation closely, she added.